Yachad raised $1,371,942 in just 24 hours during its 2nd Annual Giving Day 2017, which began at 3 pm EST Monday, December 11. The organization used the crowdfunding site www.charidy.com for the effort. These funds will be used to boost the organization’s goal of creating a more empowered and inclusive Jewish future for people with disabilities. This includes day-to-day work to ensure that more programs and inclusive events are offered in our network of Jewish communities. Ken Saibel, Associate Director of Yachad, said: “We are enormously gratified by the outstanding response from across the country and internationally, to our Charidy campaign. Over 1,700 donors, and many more who contributed just after the 24-hour period, supported our message about the importance of inclusion. Every donation is meaningful, whether from individuals who gave a few dollars from their tzedakah boxes, fundraised off-line or collected from others. It all goes to help Yachad continue its important mission. 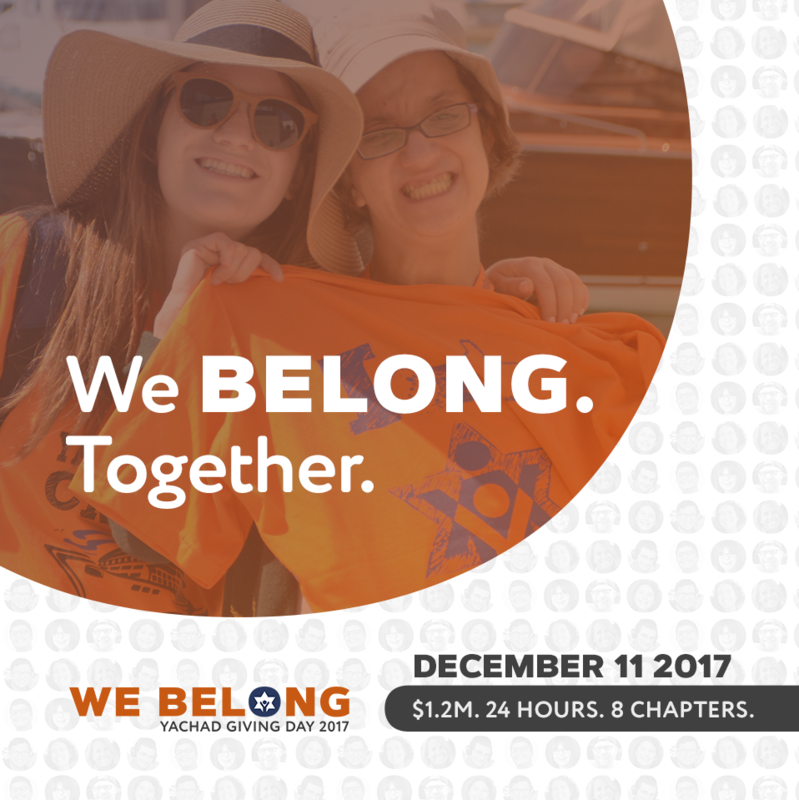 The fundraising campaign’s tagline, ‘We Belong,’ reflects Yachad’s commitment to building communities of connection, strength and friendship – communities where everyone can learn and grow and reach their potential. “Yachad wishes to thank everyone who donated to this campaign and helped raise awareness about the need for inclusion,” adds Saibel. For more information about Yachad’s Annual Fundraising Giving Day, contact Becca Zebovitz at zebovitzb@ou.org or 212-613-8156.